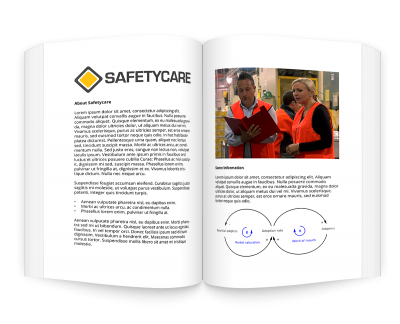 A Job Safety Analysis (JSA) is one of the most widely used safety tools in industry. If used correctly the JSA will positively contribute to establishing and maintaining a safe place of work. The aim of this training course is to enable participants to efficiently and effectively perform a Job Safety Analysis on any appropriate task in the workplace. This session clearly explains the aim of the course and provides an overview of the main sessions. It also includes an icebreaker called ‘Hidden Hazards’. This icebreaker exercise helps to focus people on the task of identifying hazards in the workplace. What exactly is a Job Safety Analysis or JSA? What are the two main types of JSA? When should a JSA be done? How do you develop a JSA? What are the main pitfalls people experience when developing/doing a JSA? Determine appropriate controls to reduce the risk of injury and prevent potential accidents. This session looks at what to do with the JSA after you have finished developing it. It specifically shows the participants how to take the relevant information contained in the JSA and use it to create a Safe Work Procedure. JSA’s are the first step in the development of a Safe Work Procedure. It is fundamentally important that the participants know and understand this. This session involves the participants in developing a JSA on an appropriate task in the workplace. During this session the participants are also provided five different methods for identifying hazards in the workplace. This assists them to perform a thorough Job Safety Analysis ‘out in the field’. The final session of this course involves the participants in a discussion about the training course itself. The course concludes with the participants completing a formal course review sheet. This training course contains several handouts and safety tools.